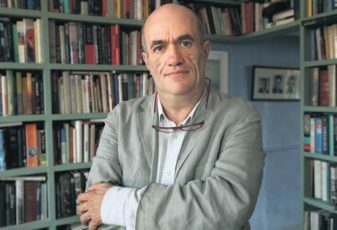 Colm Toibin discusses his latest novel, “House of Names,” a retelling of the story of the House of Atreus, the classic Greek tragedy of Agamemnon, Clytemnestra, Electra and Orestes, which formed the basis of plays by Sophocles, Euripedes and Aeschylus, as well as influenced playwrights from Shakespeare to Eugene O’Neill. Colm Toibin is the author of several novels, including “Brooklyn,” recently made into an award-winning film. Hosted by Richard Wolinsky. The complete interview can be found as a Radio Wolinsky podcast.